"Rising seas, mass extinctions, super droughts, increased wildfires, intense hurricanes, decreased crops and fresh water and the melting of the Arctic are expected." The Earth is at a critical point in its evolution. When it comes to climate change we seem to be at a point of no return, or at least the point where markers normally signifying a “tipping point” is the very best we can hope for. 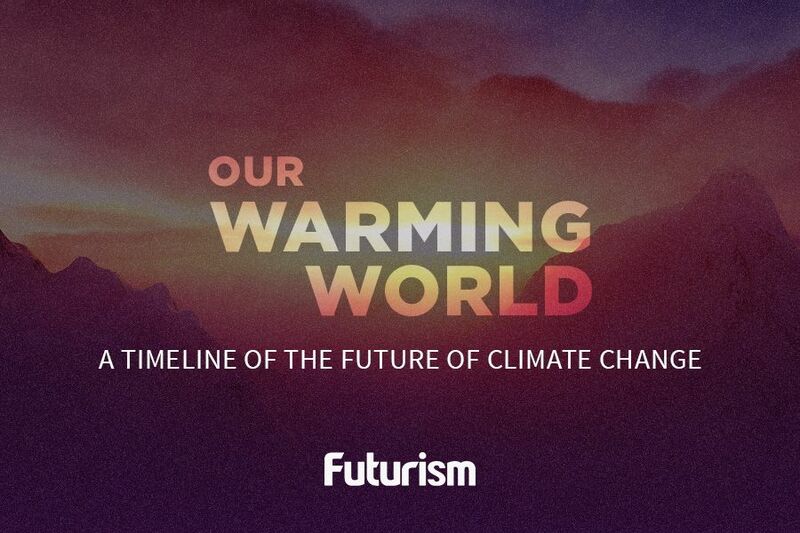 According to a study recently published in Nature Climate Change, it is unlikely that the Earth will warm by less than 2 °C (3.6 °F) by the year 2100. Those two degrees are a significant milestone in terms of warming on a global scale. Back in 1977, an economist from Yale University proposed that a rise of 2 °C stand as a threshold in the measurement of global climate change. As CNN’s Ashley Strickland puts it, passing that threshold will change life on Earth as we know it. “Rising seas, mass extinctions, super droughts, increased wildfires, intense hurricanes, decreased crops and fresh water and the melting of the Arctic are expected.” The Paris Climate Agreement adopted this threshold when drafting the accords and set 1.5 °C as the goal. Death by the causes and effects of global temperatures rising are also set to spike. The World Health Organization estimates that 12.6 million deaths can be attributed to pollution alone. They also predict that between 2030 and 2050, climate change will be responsible for adding 250,000 more deaths around the world. The United States’ withdrawal from the Paris Accords will not increase optimism. Still, states and individuals are picking up the slack left by the federal government. So, while there is little hope of avoiding the 2 °C threshold, there is hope that we can come together to mitigate future damage.